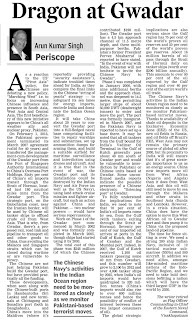 Consolidating their strategic partnership, India and France today announced conclusion of negotiations to jointly produce the short range surface-to-air missile and committed themselves to speeding up negotiations on the $10 billion deal for Rafale aircraft and on the setting up of six European Power Reactors (EPRs) at Jaitapur as part of bilateral civil nuclear cooperation. Prime Minister Manmohan Singh held wide-ranging talks with visiting French President Francois Hollande here this afternoon after which the two countries signed nearly two dozen documents for cooperation in fields like education, culture, space and railways. “We have concluded negotiations on the short range surface-to-air missile, which, once approved by the government, will be co-developed and co-produced in India,” Prime Minister Manmohan Singh announced at a joint media interaction with the French leader. The two countries had been discussing the surface-to-air missile, named ‘maitri’ (friendship) for more than five years. India’s DRDO and France’s MBDA are likely to jointly develop this system, which was initially expected to cost about $ 1.60 billion. However, its cost is likely to go up manifold now. The system would be deployed by the IAF and the Navy. It was also quite clear that the two countries were on track to ink the mega deal for 126 Rafale medium multi-role combat aircraft (MMRCA) for the IAF in June-July after months of disagreements over the cost of building them in India. The talks have progressed slowly because of differences about how to price technology transfer, sourcing of spares and the selection of an Indian partner. However, the joint statement issued by India and France said the two sides noted the ongoing progress of negotiations on the MMRCA programme and look forward to their early conclusion. With regard to civil nuclear cooperation, The Indian PM and the French President took note of the MoU between NPCIL of India and AREVA of France for setting up six 1650 MW each European pressurised reactors (EPRs) at Jaitapur. They also reviewed the progress on the first two EPR units and noted that the NPCIL and AREVA were engaged actively in techno-commercial discussions. It was emphasised that the nuclear power plant at Jaitapur would incorporate the highest safety standards. France also expressed anew its support to India for a permanent seat on the UN Security Council at the earliest and also becoming a member of the Nuclear Suppliers’ Group (NSG) and other export control bodies. The two countries decided to establish an annual dialogue between their Finance Ministers to boost bilateral economic relationship. On Afghanistan, the two sides expressed commitment to the key principles for a peaceful inter-afghan dialogue: acceptance of the Afghan Constitution, renunciation to violence and breaking links with terrorism. The two countries also called on Pakistan to abide by its commitment to expeditiously bring to justice all the perpetrators of the Mumbai attack. Under the agreement for cooperation in the field of railways, France would assist India in the upgradation of railways stations, high speed corridors and the modernisation of the railway network. In a fresh ceasefire violation, Pakistani troops tonight fired at Indian posts along the LoC in Poonch sector of Jammu and Kashmir, but there was no casualty. Pakistani troopers resorted to small and medium weapon firing in Balnoi forward area at 8.05 pm. Indian troops retaliated resulting in exchange of fire which continued till 10.50 pm. There was no loss of life, a defence spokesperson said. Rajouri: An Army jawan was critically injured in a militant strike on the Pila forward post in the Lam sector (Nowshera sub-sector) of Rajouri district this evening. A suspected militant was gunned down in the retaliatory fire. Two unidentified persons were reportedly seen approaching the Indian post around 2.30 pm. A fierce gun battle ensued after they were challenged by the Army jawans. The gun battle went on for about two hours, defence spokesman SN Acharya said. While one militant was killed, another managed to escape, the spokesman said. Sepoy Major Singh received serious injuries in the gun battle. He was later airlifted to the Udhampur Army hospital for treatment. The person killed in the gun battle could be a Pakistan army regular in the guise of a militant, sources said. According to another report, a person in combat dress tried to enter the Pila post in the Lam sector. However, a timely action by alert soldiers foiled his attempt and engaged him in fire fighting. The person took shelter behind a tree and continued to target the post for about two hour. He was later killed by the Army. Even as the UPA Government grappled with allegations of massive corruption in the Agusta Westland VVIP chopper deal, French President Francois Hollande today made it clear that his government would not tolerate any graft in defence deals being negotiated with India. “There will be nothing that will be contrary to principles common to us…trade must be based on the rules of trade,” he said at a press conference here when asked if he could give an assurance that there would be no middlemen in the Rafale aircraft deal being negotiated with India. Hollande also called for increased cooperation between India and France in the civil nuclear energy field. He said France was willing to transfer technology to India since it has confidence in India, a peaceful country wanting to enhance its security. He also thanked India for its support to France in the military intervention in Mali. Italian prosecutors have told their courts that the global payoff in Defence deals entailed paying 60 per cent of the kickbacks to the “Tyagi family” while the remaining 40 per cent was to be divided among the middlemen. The payoff was 7 per cent of the 556-million euro (Rs 3,500 crore) deal. It all started when Christian Michel got in touch with brothers Julie, Dosca and Sandeep Tyagi, cousins of former IAF Chief SP Tyagi. Their task was to ensure that Air Chief Marshal SP Tyagi (IAF Chief between December 31, 2004 and March 31, 2007) acted “contrary to official duties”. Guido Heschke (61) and Carlo Gerosa (66) were close to the three Tyagi cousins. 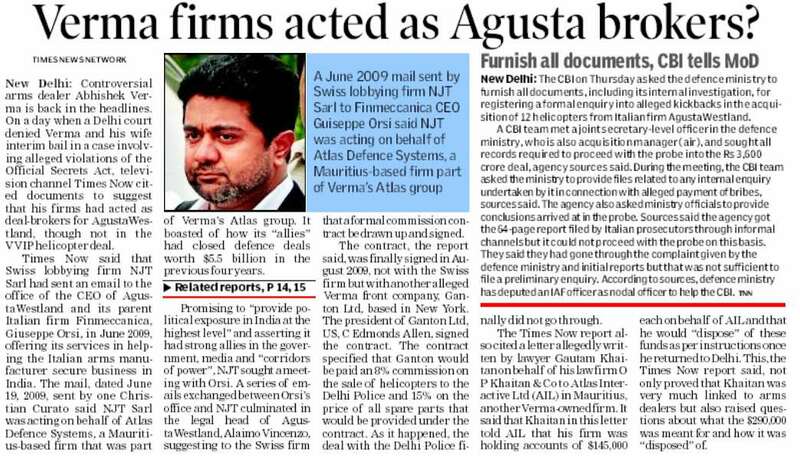 They roped in Josepeh Bears, who “on behalf of AgustaWestland mandated Haschke to conduct negotiations in India, while flanking him with his own assistant of confidence in the Indian market, Christian Michel”, the warrant submitted in the Italian court says (a copy is with The Tribune). 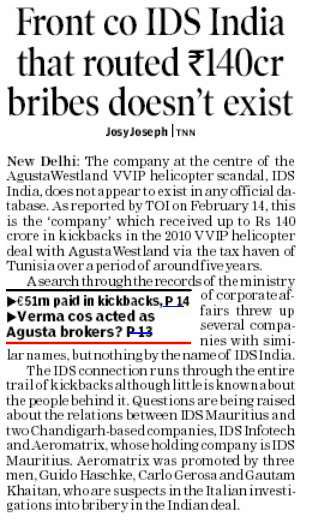 “Joseph Bears and Spagnolini Bruno agreed with Christian Michel and decided that a sum of 30 million euros (Rs 210 crore) was required to support the corrupt activities aimed at the acquisition of the contract (of 12 VVIP helicopters)”. This was later hiked to 40 million euros (Rs 280 crore). Deposing before the Italian court, a witness identified as “ADR” alleged that “60 per cent (was for) the Tyagi family, 40 per cent to me and Gerosa. The contract was signed in Cascina Costa on January 3, 2007 between AgustaWestland and IDS Infotech Limited – we’re calling it a contract but in reality it was a letter of intent signed by Spagnolini Bruno (then CEO of the copter maker)”. 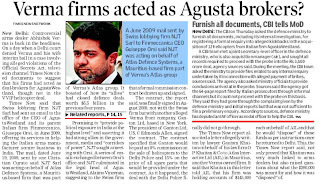 ADR, who knew Haschke, says he met SP Tyagi with Gerosa. “We talked about the helicopters. (Air) Marshal Tyagi informed us that operational (requirements) would be lowered. The meeting was very short”. He adds he met (Air) Marshal Tyagi “at the air show in Bangalore. He was still in uniform and came to visit Finmeccanica booth…. I have met (Air) Marshal Tyagi 6/7 times”. Though Prime Minister Jawaharlal Nehru was not inclined to state patronage to any religious observances, some of his chief ministers held strong views to the contrary. So when it was time for the first Maha Kumbh of Independent India in the late 1950s, Dr Sampurananand, the Chief Minister of UP pleaded with and persuaded the PM to entrust the Indian Army with the cleaning up of the river bed at the Sangam-confluence and especially for the Shahi Snaan, during the grand finale. And thus the dice was cast and the custom prevails to this day, I believe. In those days, the headquarters of the Eastern Army Command was located at Lucknow and Lieut General Sant Singh was the GOC-in-C. The General belonged to the Sikh Regiment and in keeping with the Army traditions, the security, ceremonial and administrative needs of the GOC-in-C were entrusted to one of the Sikh Battalions. As a bulk of the Eastern Army was operationally deployed in countering insurgency in Nagaland, so the Maha Kumbh task was assigned to two companies of the Sikh Battalion at Lucknow. Not leaving anything to chance, the Commanding Officer with the Subedar Major moved to Allahabad and camped under tents, close to their work site. The task was not limited to the mere cleaning of the site but also putting in place a fail-safe, safety and rescue regime. And all of this in about ten days flat. As always, the jawans took up the challenge with gusto, stripping down to their drawers and wading chest-deep in icy-cold waters, in mid-winter. Citizens of Allahabad were most appreciative of the jawans dedication to the job-in-hand and they spontaneously organised hot tea and snacks at the work site every mid-morning as also in the afternoons. Shortly, the Chief Minister also shifted to Allahabad to personally oversee the preparations. And one fine morning, the Chief Minister spoke to the Army Commander and requested him to meet him at Allahabad. After exchanging pleasantries, the CM's tenor suddenly turned grave and he said, “General Sahib, hamean khubar milee hay ka jawan sharaab peeta hayn aur bakra ka mass bhi khate hayn. 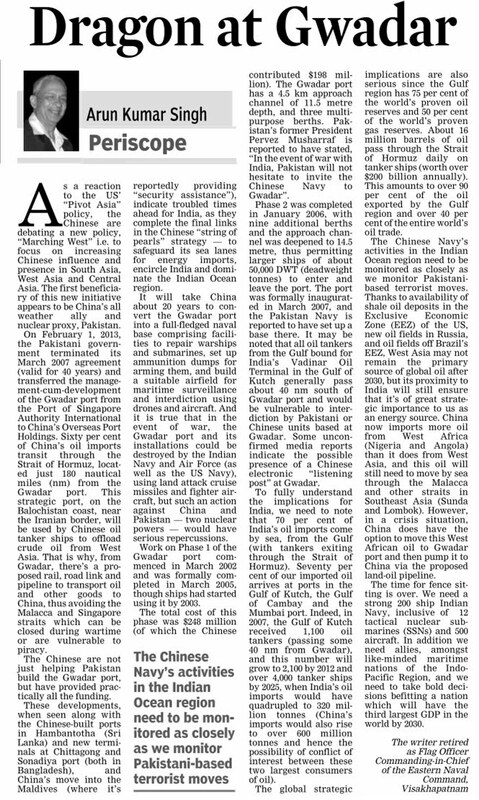 Is pavittar asthan par hum asie bay-adaabi bardasht naheen kar saktay”. General Sant Singh suggested to the Chief Minister that it will neither be appropriate to countermand medical advice nor deny jawans legitimate ration. And thus ended once of a kind confabulation between a General and an Hon'ble Chief Minister. Once again the Ministry of Defence has betrayed its soldiers. The Supreme Court judgement in the rank pay case has not been implemented in letter and spirit, making it largely redundant. The MoD has not only denied pay scale upgradation for officers but also, as a result, left out re-fixation of pensions of those who retired before January 1986 as well as consequential benefits to all officers arising out of the implementation of the fifth and sixth pay commissions. 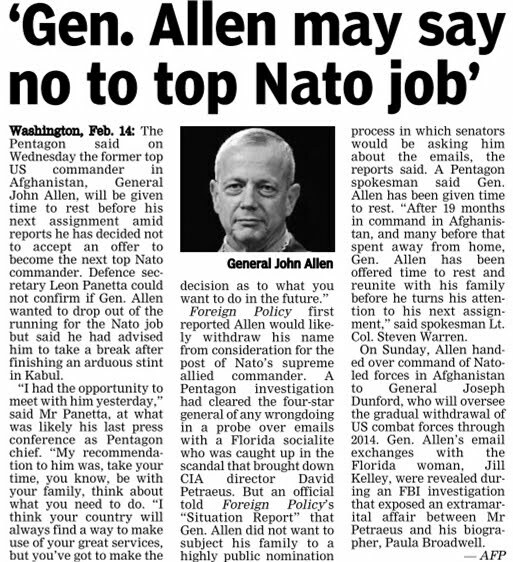 This is another case of bureaucratic manipulation against soldiers. The ministry's letter of December 27, 2012 is applicable to only about 20,000 officers who were holding the rank of Captain to Brigadier on January 1, 1986, whereas it should have covered all officers who are in receipt of pay or pension or family pension which is about 80,000. The Apex Court clearly ruled that the rank pay granted by the Fourth Pay Commission (FPC) was wrongly deducted from basic pay and ordered re-fixation of pay "with effect from" and not "as on" January 1, 1986, as mentioned in the letter. The letter states that the judgement has no bearing on fifth and sixth pay commissions, and that there shall be no change in instructions issued thereof except those necessitated due to re-fixation of pay on January 1, 1986. 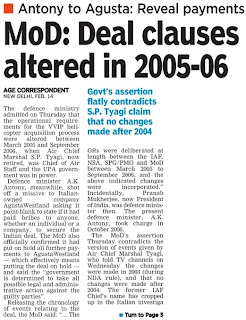 The letter can easily be termed as "rarest of rare fraud, perjury and Injustice to the defence forces". How does the government expect demoralised and demotivated officers to lead from the front and sacrifice their lives when it is denying them their due respect, status, inter se equation with other services and emoluments? Certainly the government has clearly not been fair to defence personnel. The letter of December 27, 2012 should be withdrawn and a fresh letter incorporating all aspects of the SC judgement correctly needs to be issued immediately. The concept of Armed Forces Tribunal (AFT) needs redemption, and urgently so, by all stakeholders. In 2009, just about three and a half years ago, the AFT became functional with much fanfare as an “independent” forum to adjudicate matters related to defence personnel. It's 2013, but despite best efforts of the adjudicating members and those representing litigants, AFT's justice delivery system leaves much to be desired. Litigants hence cannot be blamed for lamenting at times that they were better-off having their cases heard by High Courts, the independence and majesty of which cannot be matched by the system of tribunalisation. The problems are multifarious. Let us run through some of them. The AFT is a tribunal which does not possess powers of civil contempt. Though there is mention of civil contempt in the rules and forms framed under the AFT Act, the substantive provision is missing,which shows that it was chopped from the drafting table somewhere along the way. The reason is not far to seek, even when the Bill for introduction of civil contempt powers was recently introduced and referred to the Standing Committee on Defence, the defence services themselves reportedly opposed the grant of powers of contempt to the Tribunal. In the Act, there is a vague mention of power of execution of orders passed by the AFT but there is no procedure prescribed for such execution. Till date the Tribunal survives on ambiguity. So if a person is not released on bail when ordered by the Tribunal or not reinstated when acquitted or not granted his or her pension when directed, there isn't much that the litigant can do. Since there is no power of enforcement, most orders are not implemented unless litigants re-approach the Tribunal seeking implementation. Most orders in favour of litigants are challenged by the Ministry of Defence (MoD) before the Supreme Court, thereby making it extremely difficult for defence personnel to effectively defend their cases because of the exorbitant cost of litigation involved. Recently the ministry informed Parliament that only 303 judgements remained unimplemented whereas the actual number is estimated to be between 4,000-5,000. Written instructions have been passed not to implement orders unless the petitioner re-approaches the Tribunal with an execution petition. Implementation is refused on the pretext that the AFT orders are not in consonance with government policy! Now if government policy is sacrosanct, then why would any interpretation be required from a Tribunal? Courts are required to interpret, read-down, harmonize, and if required, strike down policies. The AFT currently functions under the MoD which controls its infrastructure, appointments, rule-making and much of everything else. Though the independence of its Members can hardly be doubted, for a litigant it seems more of an extension of the state -- a government instrumentality rather than an independent judicial forum. A fright, since the cases were hitherto being heard by the judiciary whose hallmark is independence, given the separation of powers under our democratic system. The AFT is a part of, and dependent upon the MoD -- that very ministry against which it is to pass all orders. Even when a proactive rule is to be introduced or changed, the matter is referred to the defence services and departmental bureaucracy, which of course tends to be more inclined towards looking after its own interests and keeping the Tribunal toothless. For example, the matter whether or not civil contempt powers were to be granted or not was referred to the three services but the question arises as to why would the defence services affirm grant of teeth to the AFT when those teeth are to ultimately bite them on disobedience of orders? Despite orders of the Supreme Court in L. Chandrakumar Vs Union of India (1997) and Union of India Vs R. Gandhi (2010) and of the Punjab and Haryana High Court in Navdeep Singh Vs Union of India (2012) to the effect that tribunals should be placed under the Ministry of Law and Justice, most of the tribunals continue functioning under their sponsoring or parent ministries, notwithstanding the laudable efforts of the law ministry to implement SC decisions which are being resisted by most ministries. The reason behind this resistance is ostensibly the fact that ministries feel that they would “lose hold” over tribunals. An otiose argument since the executive anyway is not supposed to maintain hold over judicial bodies. 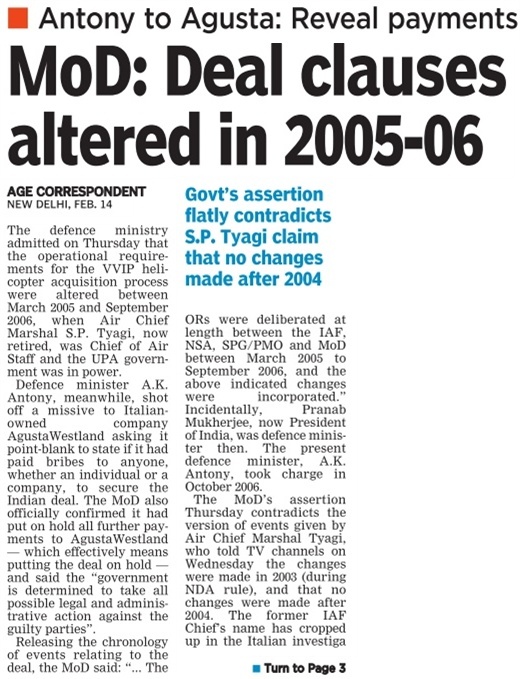 The MoD has not even provided basics such as security to the institution or official accommodation to members. Rules are also arbitrarily notified. For example, the MoD recently made it compulsory for petitioners to file affidavits with their petitions. Court fee is only accepted through postal orders or bank drafts. Now imagine personnel posted in field and isolated areas looking for notaries to get affidavits attested or looking for post offices and banks to remit court fee! While the world moves away from red-tapism, the same is adopted with impunity by the officialdom. Business in tribunals, as also held by Courts, should be user-friendly, informal and procedure-free and that is the reason why even the Code of Civil Procedure is not applied to most tribunals, but the MoD does not seem to think so. The drafting of the AFT Act has been messy. Besides the absence of any power of enforcement, appeal has been instituted directly to the Supreme Court. This despite the fact that the parliamentary committee discussing provisions of appeal had remarked that though an appeal was being provided to SC for questions of general public importance, similar provisions for the Central Administrative Tribunal had been interpreted by the SC earlier wherein it was held that jurisdiction of High Courts could not be ousted and hence AFT orders would also have to be challenged as per Constitutional provisions. Notwithstanding the SC decision, the remarks of the committee and orders of High Courts, the MoD continues to harp that orders of AFT can only be challenged before the SC. Elsewhere in the Act, there are parts which require amendment but rather than legislatively amending those provisions, the MoD has issued executive gazette notifications for amendment. Now can a Parliamentary Act be amended by an executive order? The role played by the defence ministry is adversarial towards litigants, where petitioners are viewed as “enemies of the system.” Even settled and covered matters are not conceded, government counsel not briefed fairly and all pleas are opposed as if it is state policy to increase litigation and live off the miseries of poor personnel. Unwanted, forced and imposed multiple litigation up to the SC is the order of the day and shockingly most appeals filed by the MoD are against disabled soldiers. The vacancy notification for administrative members is also not published in any newspaper. Administrative members of the first batch were selected mostly on basis of military seniority. Care however must be taken to select administrative members on merits with a balanced, sensitive and flexible approach since, besides other issues, they are also to deal with cases of disabled soldiers and military widows. In fact even a short judicial capsule is desirable to enable the selectees unlearn military rigidity and to ensure that they transform themselves into adjudicators without institutional bias rather than representatives of the establishment. Litigants expect the AFT to be free, progressive and proactive, not conservative and inhibited. Till the time issues concerning the AFT in particular and military justice in general are suitably addressed, preferably by a body under the law ministry totally independent of the influence of the MoD, concepts of justice and equality so cherished in our democracy and which form the gruondnorm of the Preamble of our Constitution, would merely remain high sounding words with little practical usage for military litigants. Italian prosecutors investigating defence giant Finmeccanica say that in addition to bribing officials for a 12-helicopter deal, the company discussed kickbacks for a larger deal as well with a serving Brigadier in the Indian Army. The Italian enquiry says that in 2003, a serving Brigadier of the Indian Army allegedly demanded five million dollars to influence a contract for 197 light helicopters in favour of Finmeccanica's subsidiary, AgustaWestland. The deal is on hold, and AgustaWestland did not make the shortlist for the tender, but the Italian report says that instead of disclosing the offer made by a man identified as "Brigadier Saini", the company told said he should be "more patient and we will give you an answer at the end of the competition." India has commissioned a CBI investigation to determine whether AgustaWestland paid bribes to land a contract in 2010 for 12 helicopters meant for use by Indian VVIPs like the Prime Minister. That is the premise of Italian investgiators, who arrested Finmeccanica's CEO, Giuseppe Orsi, this week for allegedly paying bribes at home and in other countries. Yesterday, the deal for 197 light helicopters, worth an estimated 8000 crores, was also put on hold by India because of reports that the two contenders had not met the technical requirements listed in the tender. Eurocopter's AS 350 Fennec and Russian Kamov's 226 'Sergei' had been shortlisted while AgustaWestland was knocked out in the initial round of scrutiny. If and when the 197 light helicopters are bought, they will replace the ageing Chetak and Cheetah helicopters, which are critical for providing supplies to troops deployed in Siachen Glacier and other high altitude areas. 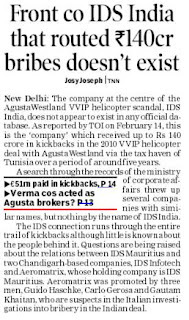 India has asked UK company AgustaWestland to explain if it paid bribes to land a Rs. 4,000-crore deal for 12 VVIP helicopters. The letter from Defence Minister AK Antony warns that the contract could be cancelled if the manufacturer does not cooperate. The alleged scam rests on the premise that without those revisions to the tender, AgustaWestland would not have made the cut. The government issued a statement to highlight that the changes to the tender were requested by its predecessor, the BJP-led NDA coalition. The CBI is investigating the controversy which went mega this week after the arrest in Italy of the CEO of Finmeccanica, the parent company of AgustaWestland. 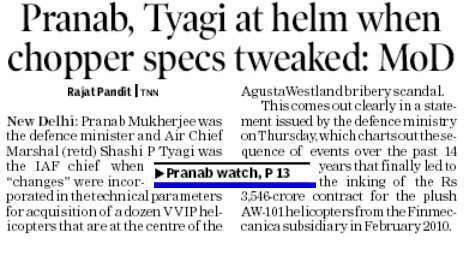 Italian prosecutors say that former Air Chief Marshal SP Tyagi was paid to ensure that technical specifications were changed to suit AgustaWestland. They say his cousins were paid 12 million euros or Rs. 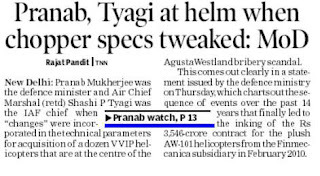 86 crore, and that a middleman for AgustaWestland met with SP Tyagi six times, allegedly to discuss the contract. 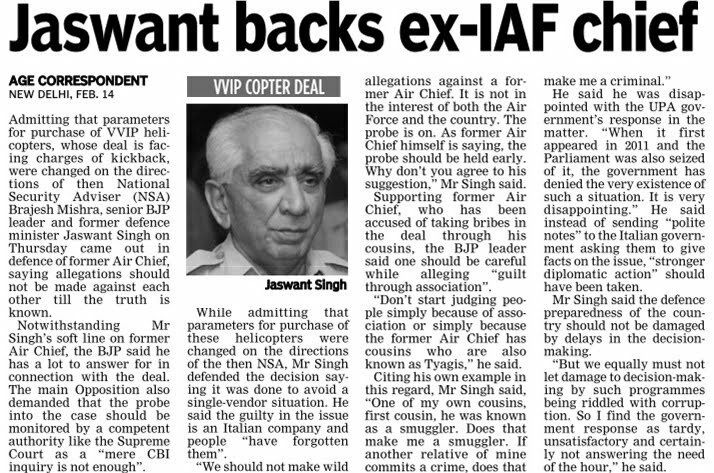 Air Chief Marshall (retired) Tyagi has denied the charges. The revisions to the tender were requested and finalised in 2003, when the BJP-led NDA coalition was in power with Atal Behari Vajpayee as prime minister. But it was in 2006, that the new requirements were notified. By then, Dr Manmohan Singh was Prime Minister and Pranab Mukherjee was Defence Minister. SP Tyagi was Air Force chief. The government wants to stress that the alleged scam originated when the BJP was in power; the Opposition party counters that the deal was signed in 2010 on the Congress' watch. The Italian enquiry says that two critical alterations to the original tender were dictated by AgustaWestland: the height at which the helicopters were required to fly was lowered from 18,000 feet to 15,000 feet; and engine failure flying test was added. This favoured AgustaWestland as its helicopters were the only ones in the tender operating with three engines. Jammu: One infiltrating militant was killed and a soldier injured today in a clash on the Line of Control (LoC) in mountainous Rajouri district of Jammu and Kashmir, an army official has said. A group of militants was crossing the LoC into the Indian side in Jhangar sector of Rajouri district, about 170 km north of Jammu. The soldiers challenged them on noticing their movement which led to a fire-fight between the two sides. “One militant was killed in the exchange of fire while one army soldier was injured,” said the official. 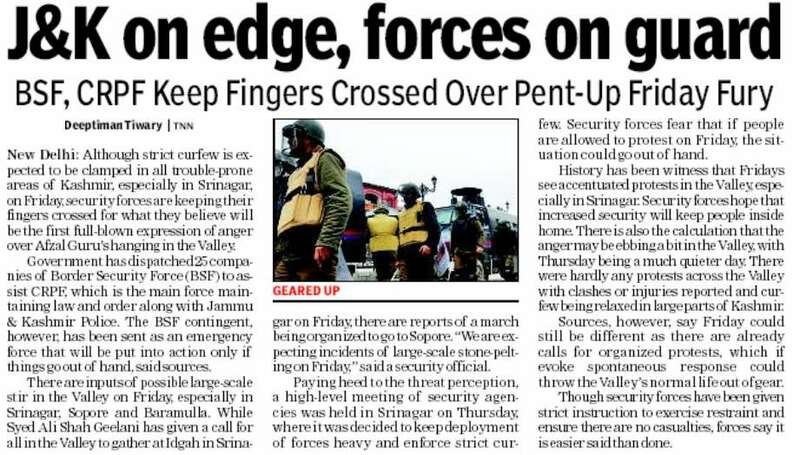 Troops are carrying out extensive searches in the area “for any militant having possibly sneaked into the Indian side”. This is the first major incident along the LoC after tension heightened following the killing of two Indian soldiers by Pakistani army intruders 8 January. Union defence minister A K Antony has ordered a CBI inquiry into the controversial AgustaWestland VVIP helicopter deal following the arrest of Guiseppe Orsi, the chief executive officer of Finmeccanica in Italy, and filing of a preliminary inquiry report by Italian prosecutors at a tribunal of Bust Arsizio city. The names of a former Indian Air Force chief and other Indians figure in this report about suspected corruption in the Rs 3,546 crore deal. Antony has expressed hope that the Central Bureau of Investigation will submit a report without undue delay and promised action against those found guilty of wrongdoing. He has also announced that the entire deal will be scrapped and the Italian company blacklisted if the charges are proved. 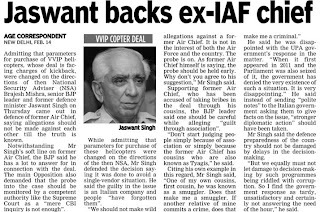 Former Indian Air Force chief S P Tyagi, whose name figures in the Italian prosecutors’ 64-page report as a suspected recipient of slush money, has refuted the allegations and welcomed the government’s decision to order a CBI probe. This is the first time that an Indian service chief has been named in a probe into alleged corruption in the procurement of defence systems, though the CBI is still investigating attempts to bribe former Indian Army chief V K Singh. Since the matter involves national security, it would be prudent not to rush to any hasty conclusion till the CBI completes its inquiry and submits its report. While political parties will do well to resist the temptation to politicise the issue, it is in the interest of the government and the country that the inquiry be conducted transparently and speedily to dispel any impression that the government is shielding anyone. Meanwhile, the government should come out with a statement detailing the circumstances in which the deal was made and the justification for it. It should make the process of defence procurements more transparent to weed out any possibility for corruption. At the same time, it should ensure that such controversies do not result in unnecessary delay in equipping Indian forces and affect India’s war preparedness.